The lead up to the New York Auto Show has begun, even though this show won’t take place until March 28 of this year. This is the show in which the 2018 World Car of the Year, along with several other awards will be awarded to give a variety of cars the recognition they deserve in order to show off and advertise the fact that you can admire these cars and what they bring to the market. 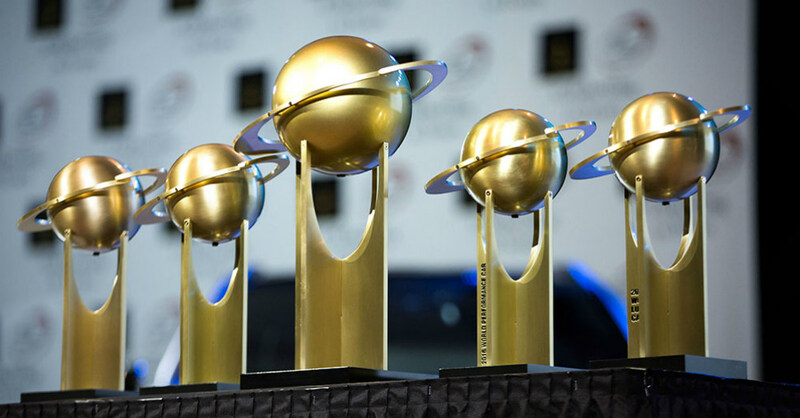 The cars that have been selected as finalists will wait with anticipation to see if they have won this amazing award at this show.The other awards that will be offered at the New York Auto Show include the World Luxury Car, World Performance Car, World Green Car, World Urban Car, and World Car Design of the Year. These awards are all voted on by a group of 82 journalists from around the world. The only award that doesn’t take a vote of these journalists is the World Car Design of the Year. The international accounting firm KPMG will tally up the ballots of those who voted to figure out which model wins the different awards at this show. Alfa Romeo Giulia, BMW X3, Kia Stinger, Land Rover Discovery, Mazda CX-5, Nissan LEAF, Ranger Rover Velar, Toyota Camry, Volkswagen T-Roc, and Volvo XC60. Ford Fiesta, Hyundai Kona, Nissan Micra, Suzuki Swift, and Volkswagen Polo. Audi A8, BMW 6 Series Gran Turismo, Lexus LS, Porsche Cayenne, and the Porsche Panamera. Alfa Romeo Giulia Quadrifoglio, Audi RS 3 Sedan, BMW M5, Honda Civic Type R, Lexus LC 500. BMW 530e iPerformance, Chevrolet Cruze Diesel, Chrysler Pacifica Hybrid, and Nissan LEAF. Citroen C3 Aircross, Lexus LC 500, Range Rover Velar, Renault Alpine A110, and Volvo XC60. finalists for each of the categories with the winners being announced at the New York Auto Show at the end of the month. It will beinteresting to see which model is the one that will make it to the top of the list in each category. Follow along and see which models earn these amazing awards and are presented as the best in the world in each of these categories. Should Chevrolet Be Doing More for the Bolt EV?